Three reports that retailers should be running before meeting with a sales rep.
Meet the newest team member at BookNet Canada: Monique Mongeon, Project Manager. Prospector's Opportunity Reports have been redesigned as SalesData's Gap Analysis Reports. Learn more about this transition. Former PubFight champion Bill Holt shows us how he bends the awesome power of SalesData to his will to discover comparable titles and guestimate PubFight print runs. Smarter, better, faster, stronger. New SalesData is launching Feb. 22! Here at the BookNet Canada office we grab a cupcake and share high fives all around as we celebrate 10 years of SalesData. We’re coming up on the 2015 PubFight season very soon, so we’re here to offer some sage advice for anyone who desires to become a PubFight Master (available only to those who’ve got access to SalesData—sorry, educational leagues!). There’s a new bestsellers list in town. In a joint initiative with the Retail Council of Canada (RCC), we’re excited to announce the launch of the Indie Bestsellers List, which will track the best-selling books sold at independent retailers across Canada. The list will hopefully shine a light on the important role indie booksellers play in the Canadian market. Backlist is one of the foundations of the publishing industry. Books that sell reliably year after year might not be new and exciting, but they are a sure bet for booksellers’ shelves. So what are these faithful favourites that show strong and steady sales long after their publication date? Which titles are the most reliable for retailers to keep in stock? 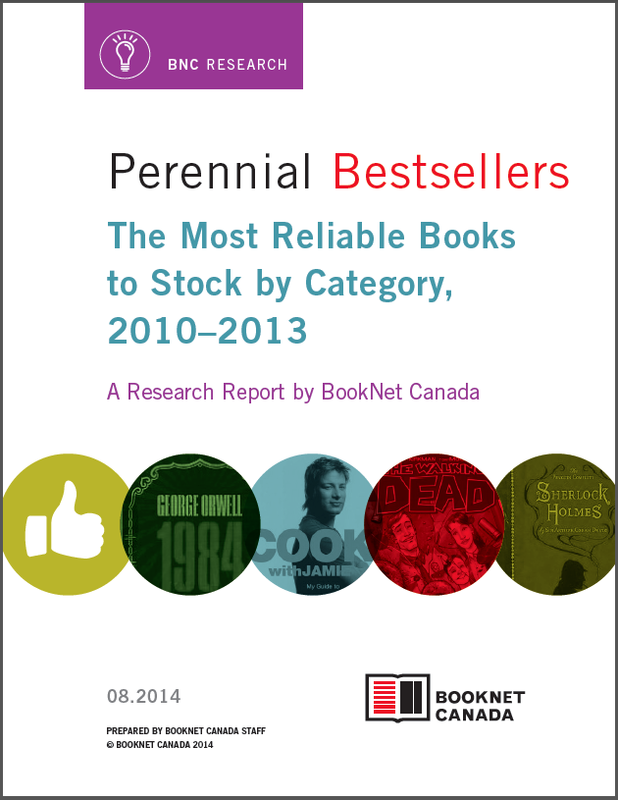 That’s the subject of BookNet’s latest study, Perennial Bestsellers: The Most Reliable Books to Stock by Category, 2010–2013. Today’s guest blog post is from Erin Creasey, Sales & Marketing Director at ECW Press and the President of the Association of Canadian Publishers. Erin will be presenting a session at BookNet 101 called “Supersize Your Sales Data.” Read on for some tips on how to make your data work for you.